My apologies for this being late, we had some unforeseen issues come up. 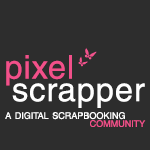 This month the Pixel Scrapper Blog Train theme is Yesteryear, and the talented ladies have created some really gorgeous things. I was excited to work on my addition to the blog train. I hope you enjoy the mini-kit as much as I enjoyed designing it and as always, I would love to see anything that you create with it. 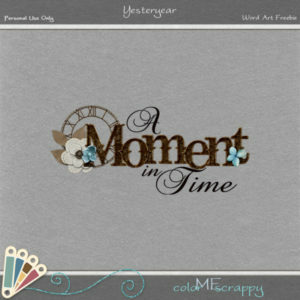 This word art is also available, just for visiting and liking My Facebook Page. I have also created a matching kit, which is available for purchase at My Etsy Shop. Gorgeous frames and tags!!! The word art is stunning!!! The papers are beautiful!!! Thank you so much for sharing!!! Thanks for both, appreciate the share! Thank You for the blog train gift. Thanks for your share of PS BT for June 2016!